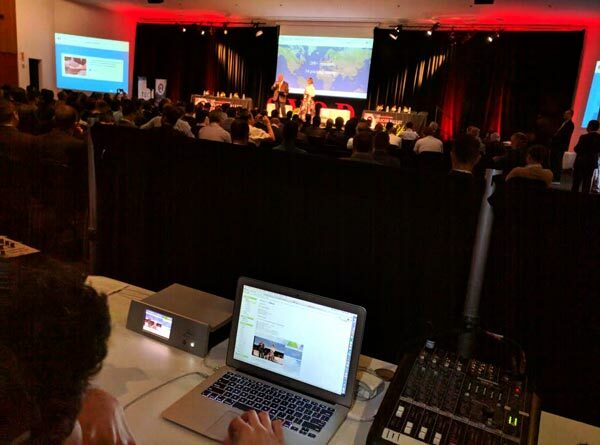 The audio cables used in a system can have a major impact on the quality of sound while live streaming and/or recording your live event production. Every audio cable, even if used properly, has the potential to add noise and distortion into your mix, meaning that it is important to use the right cable for the task at hand. The biggest division here, and what generally causes the most confusion, is the difference between unbalanced and balanced cables. Knowing which cables to use and when to use them requires some background knowledge, so let’s take a look at what that is! The cables themselves consist of two wires inside the plastic casing: a signal wire and a ground wire. The signal wire in the center of the cable passes the audio signal through, while the surrounding ground wire shields the main signal wire from external electronic interference from devices such as lights, televisions, radios and transformers. 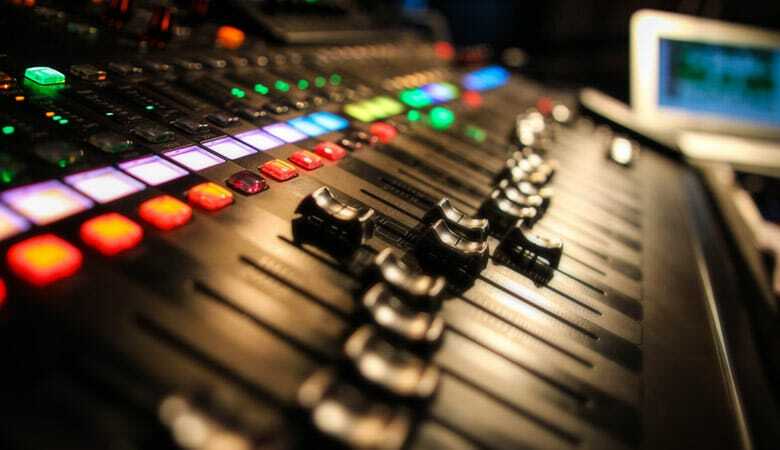 A cable is considered “unbalanced” when it takes the audio signal from a piece of equipment you’re using (such as an instrument or stereo system) and passes it straight through to a mixer or other capture/receiver device without manipulation. 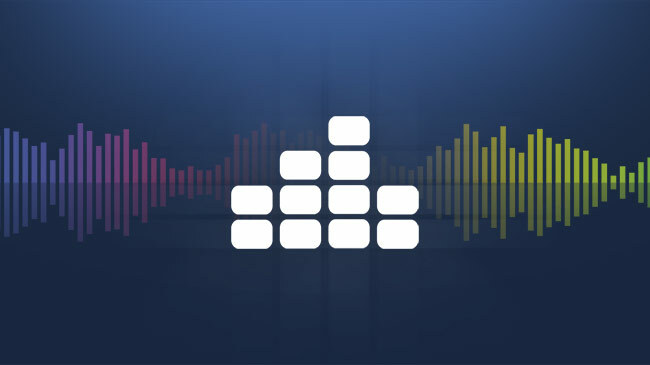 Leaving the audio untouched makes things simple, but it also means that sometimes the audio can become distorted. 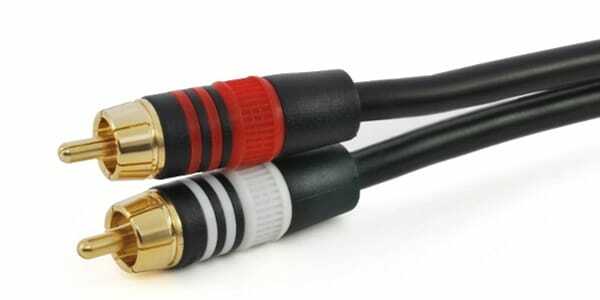 RCA cable connectors, which are the red and black tips often used in stereo setups such as surround sound systems, turn tables and older audio systems. Balanced cables have three wires inside the plastic casing: two signal wires and a ground wire. The signal wires pass an identical audio signal through each wire, while the surrounding ground wire works the same as in unbalanced cables, shielding the signal wires from external electronic interference. The difference with balanced cables is that the equipment sending and receiving the signals each have a converter in them that allows them to make use of both signal wires. When the equipment sends two signals, it puts them “out of phase”. The signals are still identical, but one of them is the inverted mirror opposite of the original. When the signals arrive at the receiving equipment, it puts the two signals back in phase, taking the mirrored signal and reverting it to its original form. The two signals match, and that’s the signal that gets passed to the mixer. However, any distortion that occurs will affect both the signals, so when they are flipped at the end, the distortion will be out of phase, and will cancel itself out. Getting a good visualization of how this works is great, but if it’s too much to get your head around, it’s enough to know that balanced cables reduce distortion in audio at the cost of introducing significant complexity to the process and the equipment. 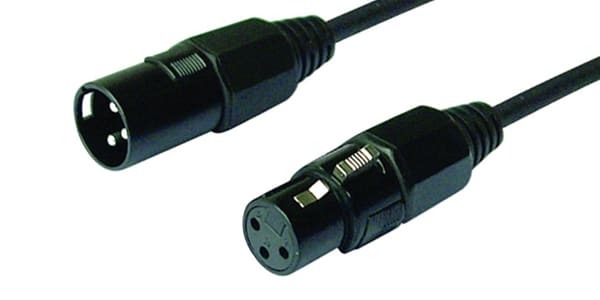 XLR cables, which are connectors you would typically find on a microphone. Knowing how the cables work, let’s discuss when and where it’s right to use them. The biggest downside to unbalanced cables is the distortion. The ground wire meant to protect the unbalanced cable can, at longer lengths of cable, actually act as an antenna or amplifier for surrounding noise. The hum from a nearby television or audio system could be picked up by the cable heard in your audio capture. As a general rule, this effect is only noticeable with cables beyond ~20 feet in length. With balanced cables, you don’t get the same distortions, so they can be much longer without any detriment to your sound quality. That said, when the cord length is under 10 feet, unbalanced cables actually have a stronger signal than balanced cables. This is because at this length, any distortion is unlikely, and the simplicity of unbalanced cables can work wonders when there’s no detriment coming from potential distortion. For instance, mastering studios typically use unbalanced cables ranging between three and ten feet in length. So apart from that circumstance, why buy an unbalanced cable? In truth, the main advantage an unbalanced cable has over a balanced cable is the cost. 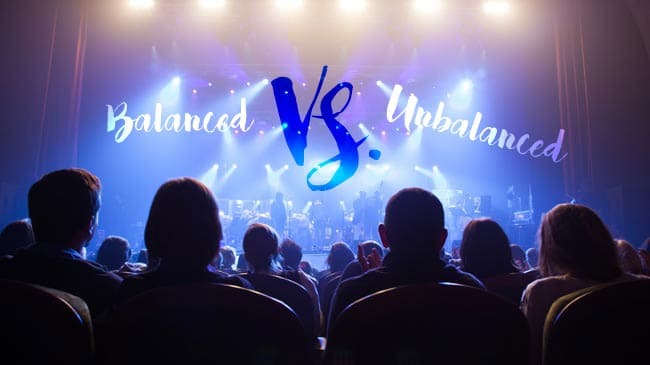 Unbalanced cables, depending on their quality, might be anywhere from 30%-60% of the cost of their balanced counterparts. The added safety of the balanced cable comes at a cost, and even after you make the purchase, you still need to pair your cables with balanced mixed equipment, which can also be more expensive. 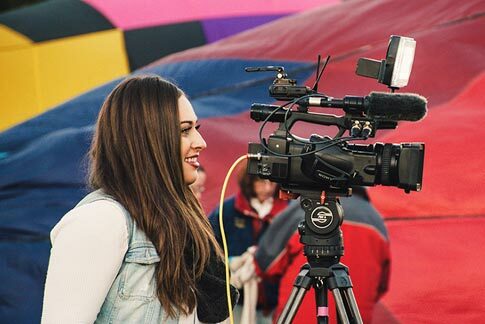 When you’re looking to keep your live production budget low, unbalanced cables can be a great value purchase, and there are even good ways to keep the quality high on an unbalanced cable. When you connect your cables to instruments or equipment with loud signals, such as guitars or keyboards, they are loud enough that any extra noise that might be picked up by the cable will be unnoticeable – the sound from the guitar or keyboard will easily mask and muffle the unwanted noise in a way that wouldn’t happen on a relatively quiet signal from equipment such as a microphone. Aside from these exceptions, balanced cables are a huge improvement over unbalanced. They have better signal-to-noise ratio, much lower impedance signals, and almost no external noise or distortion. 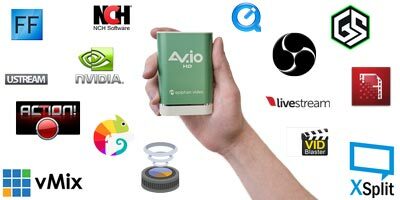 Balanced signals are a great improvement on unbalanced ones, which is why all Epiphan capture, streaming and recording equipment, such as Pearl (our flagship all-in-one live production streaming, recording and mixing device), is designed to a professional standard, allowing users to achieve the best in audio (and video) quality. The differences between balanced and unbalanced cables are subtle enough that it’s easy to miss them at first. If you’re using a very short unbalanced cable, or using a longer unbalanced cable on a loud device like a guitar, there won’t be a difference at all. But there are times when spending the extra money on a balanced cable and a balanced equipment setup is completely necessary. When working on tasks such as connecting a distant microphone or wiring in a high-interference area, the additional audio balancing that balanced cables provide make a huge difference. 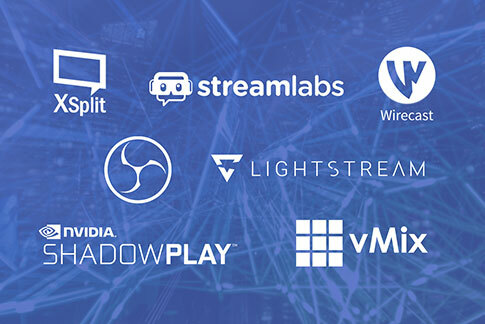 Knowing when to use unbalanced cables and when better to use balanced cables can make all the difference in the live streaming and recording of your live event. What other audio topics would you be interested in us covering? Mathieu is a trained Audio Engineer and a Technical Specialist with Epiphan’s support team. Aloha, thank you for the explanation. I have always wondered which to use to specifically patch mixer to amp. I run an old Mackie 1604 / Carver 1450 / Klipsch Speakers (KP-3002). The Mackie has only 1/4″ outs (main/monitor) and that always bugged me. So, please correct me if I’m wrong – I run Mixer to Amp (less than 3′) with 1/4″ unbalanced (for stronger simpler signal) – unless, I’m in a known high interference zone. Or, being under 3′, even high interference would not effect signal? Aloha, should you ever get to Big Island, Hilo side – get in touch – we play music everyday. Mixers and Speakers are balanced devices and thus balanced cabling for use. Although you can use unbalanced cables for very short runs, and probably not have any issues, you will still run the risk of getting an unnecessary hum through your speakers with any other electrical interference. Whenever possible I would still recommend using the designated balanced cables for your cable runs between the board and the speakers. Thanks Mathieu. That is a good and interesting article. but my situation is trying to record a Lowrey Sensation organ, through Steinberg UR22, and onto a computer DAW. I have managed to record one channel (mono, not stereo) from the organ AUX out into the UR22; using a 1/4″ jack from the organ to an XLR into the UR22. The interference noise in almost unnoticeable. The other problem is that I would like to play my recording from the DAW back to the organ through the UR22, and this gives a horrendous amount of buzzing and shushing. As far as I know, I have tried all types of cable, all of which make the same amount of unwanted sound. Also I have moved the UR22 around to eliminate other wires in the vicinity. 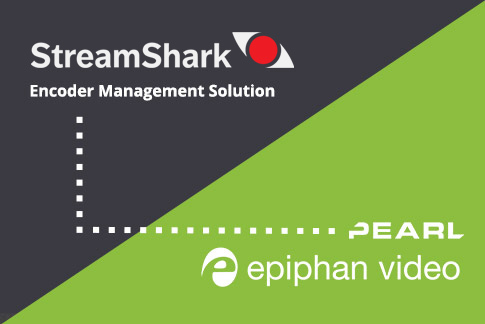 Unfortunately this goes beyond the scope of technical support for our Epiphan Video products. For more specific troubleshooting for audio one resource that I find is indispensable would be “SOS” or sound on sound forum. 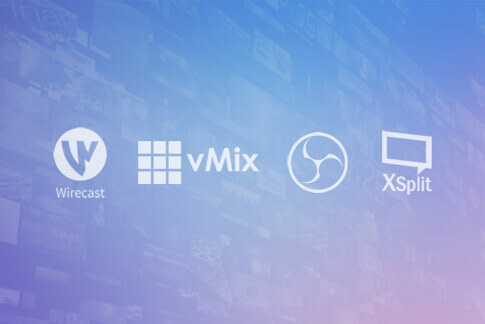 They will be able to provide more specific troubleshooting recommendation for audio-specific use cases. I use a Yamaha PSR-S900 keyboard/workstation, where I want to run the L & R outputs (both unbalanced) into L & R powered monitors that use balanced inputs. The distance between the keyboard and monitors is 5 ft. What cable type, balanced or unbalanced, would be best used for this set up? Thanks for your help with this. When utilizing speakers or specific balanced gear, whenever possible we would recommend to use the proper balanced cables. However, as stated in this blog post, if the cables are under 10ft typically it should be fine. If you do hear unnecessary hum or distortion that would mean that there is too much signal noise or interference. Thank you so much for this blog!! WOW, fantastic!!! I have a fairly simple question. What about cables that have different ends? 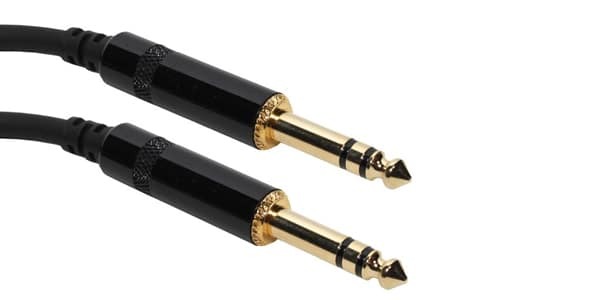 More specifically, a cable with a 1’4 inch on one end and XLR on the other. Super curious!! And actually, I get REALLY good sound from a 20 ft. instrument cable running from my Denon mixer to my Behringer loudspeaker, any thoughts? Maybe I just got really lucky not picking up any extra sound. I am however running into that hum for a different speaker further away. (I need at least 40 ft of cable, if not more.) I had a 1’4 inch male to RCA male cable plugging into an RCA female with an RCA male end. I don’t know yet how I am going to deal with that problem yet. My mixer only has 1’4 inch/RCA outputs. I can plug ANYTHING into this speaker! 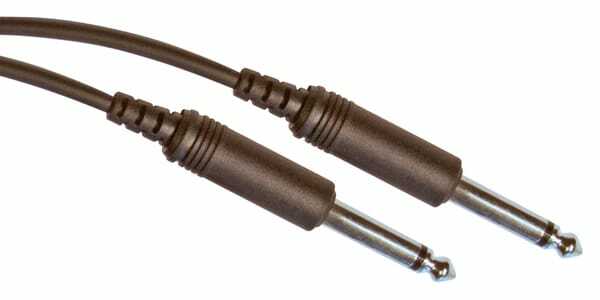 1/4″ to XLR cables are typically balanced cables with a ground pin and would act in the same way as a full XLR or TRS cable. If you are running an 1/4″ cable that is TRS then you are utilizing a balanced cable that is designed for longer runs, which is likely why you are not getting noise from a balanced device to a speaker. If using a computer soundcard and wish to have balanced cables to avoid the hum/noise of the computer monitor/mouse moving,does the soundcard have to have “balanced outputs”. I’m a little confused about the unbalanced ts/vs. balanced trs inputs on studio monitors,are most xlr inputs balanced? Also,does using a 3.5mm y cable to dual trs/xlr affect the signal’s hum/balancing? Note that when I say balanced output on the soundcard,I’m not referring to the cable itself,but the actual’s cards output via its connectors(usually female). Also,do you think monitor hum’s are canceled out with a balanced cable,or is the surge protector/power strip to blame and balanced cabling would be a waste of money? Your issue may be more electrical in nature. If you are picking up a hum with the monitors, it’s more likely that you are using unbalanced cables (studio monitors and soundcard outputs are always balanced.) If you are using balanced cables and you are getting a hum, that would be your power bar or outlet – typically grounding issues. As a workaround, you can always pickup a humbucker which typically has 1/4″ In and outs that you can go from the sound card into that adapter and out to your monitors.